I love these interviews, you never know what you;re going to get back from people. The process is simple, I send the 13 questions to people via email and they fill it in and send it back. It’s great fun opening each attachment to see what people have entered but also how they took each question. Pete Davison took each question very literally, which is fantastic. In the end, Pete had written over 2000 words and most of those were part of his gaming history. And what a history it is, if you like the in depth histories of our Gamers, then this one is a treat. Q1. Who the hell are you and what do you do? My name’s Pete Davison. I’m the brother of John Davison, whom you may have heard of. I’m a freelance video games journalist who currently writes news for Kombo.com as well as various other articles for anywhere who will take them. I’m also a founder member of “The Squadron of Shame”, and the editor/producer of their podcast. I’m a trained teacher, but am pursuing a full-time career in the games industry right now. Because although both of them involve whining children upon occasion, at least when gaming with them you have a “mute” button. Q2. When did you first get into games? How old were you? My whole family have been into games as long as I can remember. I grew up in a household full of Atari computers, from the 400 onwards. My Dad used to write for an Atari magazine called Page 6, later renamed New Atari User thanks to its absorption of another magazine whose name you may be able to guess. My brother got his start in journalism in his teens writing for this magazine, and so did I.
I couldn’t have been very old when I first started gaming. I was pretty much playing as soon as I was old enough to pick up a joystick. I vividly remember playing “Spy vs Spy” with my babysitter on one occasion. I won. Q3. Omit nothing, what is your gaming history? Where did it start and how did it progress? This is a big question! I hope you’re ready. You said “omit nothing”. So here it is. The Atari 8-bit range of computers were around for quite some time, and over that period we amassed a huge collection of games and other software. My Dad and brother were members of a local “computer club” which, as these things tended to be at the time, in fact was pretty much just a piracy convention. As such, like many other owners of Ataris, Commodore 64s and the like, we had several large disk boxes full of copied games and applications. Through the sheer amount of stuff we had, I got to know many different genres of gameplay, despite not really understanding strategy games or RPGs at a young age. After the Atari 8-bits came the Atari ST. The ST was inferior to its rival, the Commodore Amiga, in many ways. But it was particularly good for music thanks to its built-in MIDI interface. As our household was very musical as well as being gamers, this was great for composition and recording. Plus the ST had some great games. My brother, by this point, was reviewing things regularly for Page 6/New Atari User, so we had a frequent influx of review copies of games coming in. We seemed to get a lot of Psygnosis titles in particular, so I have very fond memories of a lot of those, and their classy, shiny boxes. When my brother left home, he was working with the then-shiny-and-new 16-bit games consoles such as the Mega Drive/Genesis and Super NES. On most occasions when he came home to visit, he’d bring one or the other home along with the latest hotness to show to us. I recall the first time he brought home a Super NES with a copies of Darius and Super Mario World. He mentioned that it was “just like having an arcade machine hooked up to your TV”, a quote he later used in a feature article for weekly multiformat magazine Games-X. And, at the time, it was. It was utterly gobsmacking. As such, I pestered my parents for a Super NES for Christmas, which I subsequently got, adored and still own. Later came the PlayStation, again prompted by my brother bringing one home to show us. 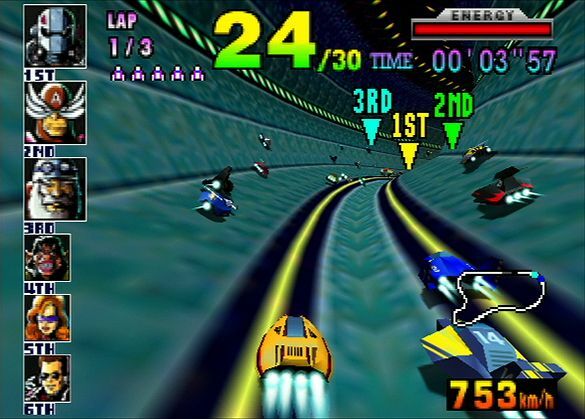 Ridge Racer was utterly amazing, and I had a bizarre soft spot for Raiden Trad, too. The PlayStation I used for a long time was a Japanese model, but many will remember the “pen-lid trick” that could be used to play imported games without a mod chip on the original PS1 unit. Open the lid, prop it open with a pen lid on the button which signalled to the console that the lid was actually closed, boot up from a Japanese disc, watch it spin and when it slowed down, quickly whip out the Japanese disc and replace with a UK one. Worked a treat, but utterly knackered the laser lens. On the PlayStation, I discovered RPGs thanks to Final Fantasy VII. I had heard it described as the “first video game that ever made people cry”, and I was intrigued. I was utterly baffled by the game mechanics to begin with, as I’d never played anything like it before. But the story drew me in like nothing had ever done before. And I wasn’t alone; one of my friends from school and I came over one day in the holidays and we played it non-stop for 36 hours, fueled by alcohol, coffee, and battering each other over the head with couch cushions when they looked like dropping off. I also owned an N64 at the time and appreciated many of the games on it, but greatly preferred the PlayStation’s crisper graphics and CD storage offering more capacity for speech, video and additional game content without reusing assets. Despite this, though, I still managed to score some freelance writing work for the Official UK Nintendo Magazine, where I wrote full walkthroughs and tips books for 1080 Snowboarding, F-Zero X, Banjo-Tooie, Turok 2 and Star Wars: Battle for Naboo. As a result, I never want to play these games ever again. Alongside all this, I’d been keeping up with PC gaming. My Dad was into flight sims, so we often got hold of copies of those. But it was adventure games that were the big thing. My Mum and I used to play them together. We beat every LucasArts game there was to beat, and most of Sierra’s output too. Gabriel Knight remains, without doubt, one of the finest games there ever was. I did some freelance writing for PC Zone around this point, too, including a lengthy tips book for Carmageddon which was eventually included in Virgin Megastore’s Christmas special edition pack of the game. At some point around here, the Internet came into existence. Or at least made its presence known. We’d been able to access BBSes from our old Atari 8 bit computers. But when larger-scale services like CompuServe appeared, things got interesting. While CompuServe wasn’t “the full Internet”, at least not to begin with, it popularised many of the things we take for granted today. Real-time chat and forums in particular. It was on CompuServe that I became a professional game developer. Sort of. An American chap with a funny name that has unfortunately been lost to the mists of time had posted a message on the Gamers’ Forum on CompuServe that he was looking for Wolfenstein 3D levels that people had created. Fortuitously, I had just got into map-editing for Wolfenstein and had plenty of things to show him. Ten levels, in fact, which I sent to him and then thought nothing else of. A short while later, he explained that he was a representative from Apogee, and wanted to include my levels in the official Wolfenstein 3D “Super Upgrades” expansion pack, a privilege for which he would happily pay me $200. Would I be interested in that? You can guess my answer. I still have a photocopy of the cheque. Fast forward to the early part of the 21st century and I’m at university. The first console I bought myself was a PlayStation 2. It was expensive at the time, but I adored it. I avoided the “mainstream” games and went for RPGs and interesting-looking curios. One of the first games I bought was Shadow of Memories, which has its flaws but tells a really cool story. It was games like this which spawned the Squadron of Shame. Today, I’m a proud owner of all the major gaming platforms, and I wouldn’t have it any other way. Gaming is one of my favourite hobbies and it’s brought me together with some of the most wonderful people I know from around the world. May it continue to brighten my life for many years to come. Q4. Why do you actually play games? Is it for fun? Or maybe something else? Fun, mainly. Distraction from everyday life. The opportunity to be someone else, or do something that you wouldn’t be able to do in reality. I enjoy the “epics”, particularly if they have good music. RPGs are full of clichés, but there’s nothing better than gathering a band of plucky heroes and defeating some terrible evil. I’m a narrative junkie mainly, so I’ll play anything that at least makes an effort to tell a decent story, however successful it may or may not be. But that doesn’t stop me getting obsessive over high-score competitions on games such as Geometry Wars 2, scene of one of the bitterest online leaderboard battles I’ve ever witnessed. Q5. If you could choose one game (just one) to give to other gamers, one that epitomises videogames for you, what would it be? Damn! That’s a toughie. Games are so many things to so many people. In fact, the word “Games” doesn’t really do the medium justice any more. Can you choose just one film that epitomises moviemaking? Or one book that epitomises writing? We’re getting to that stage with games. I don’t think there is one single “quintessential” videogame. 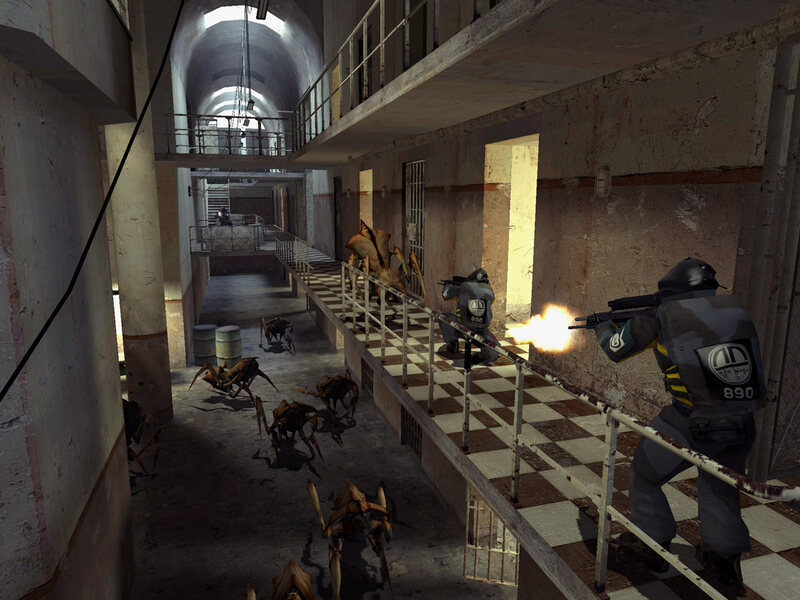 That said, if I had to, I’d pick Half-Life 2. It’s a fine example of how solid gameplay mechanics can be fused together with a compelling narrative. It also provides an experience that can’t be replicated in any other medium. It’s a truly experiential piece of interactive entertainment. Q6. What was the last game you completed. Did you enjoy it? Scott Pilgrim vs The World on PS3. And yes, I heartily enjoyed it! Old-school graphics and music with some new-school spit and polish produces an excellent, fun and hugely addictive game. And it’s cheap, too. The game made me want to read the comic and see the film, despite being only dimly aware of its existence previously. Q7. Now the tough stuff… Favourite gaming platform ever… and why? PlayStation 2. No question. Although the Xbox was technically superior and had LIVE and whatnot, the PS2 was home to the games I wanted to play. The sheer diversity of its catalogue, the prevalence of RPGs and narrative-heavy adventures, its willingness to take risks on weird Japanese nonsense; all of those things combined to create a console that really has deserved its lengthy lifespan. Q8. Favourite game or franchise? I’ll always have a soft spot for Final Fantasy for the reasons outlined above. 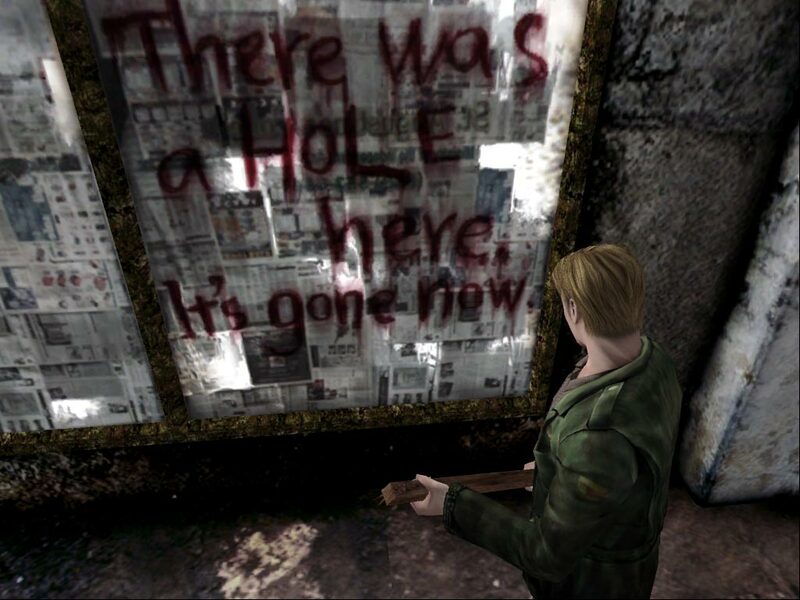 Besides that, Silent Hill is always a winner for me. Since playing Silent Hill 2, I’ve been hoping for a game that matches that one’s beautifully-told story and sense of emotional engagement. A few have come close. But none have quite matched the tragic tale of James Sunderland. Q9. How do you feel about online gaming? Mixed. I enjoy playing online with friends. But I hate hate HATE playing on LIVE with strangers. I don’t generally voice chat with people I don’t know. But I’m more than happy to party up with strangers in an MMO like World of Warcraft. So on the whole, I think I feel pretty positive. Although I do wish sometimes that developers and publishers would stop putting multiplayer modes in there just for the sake of it. BioShock 2 didn’t need multiplayer. Assassin’s Creed doesn’t need multiplayer. Red Dead Redemption didn’t need multiplayer. That’s not to say that these modes aren’t good. But they’re unnecessary, and they would have taken time away from producing an even better single-player experience. More positive than most. I’m particularly excited about Move. Kinect I’m not so sold on, although I do have a secret hankering to play Dance Central, as most people do. Move, I think, will be great for “PC-style” games, particularly strategy games or even RPGs. Motion control doesn’t just have to be about waggle; the simple addition of a pointer will make an enormous difference to many games. Q11. How about 3D gaming? Right now, I couldn’t care less, but I feel this is probably because I haven’t experienced it. I’ve spoken to a number of people who felt the same way and then tried it and were blown away. I don’t see it as an essential, by any means. HD, on the other hand, is the best thing that ever happened to TV-based gaming. And not just for the big-budget blockbusters. Pixel art looks beautiful in HD. Look at Scott Pilgrim if you don’t believe me. Q12. Where do YOU want to see the industry in five years time? I’d like to see a major comeback of the adventure game, something which is starting to happen already. I’d like to see the continued growth of the $15 price point games—games which provide a solid 8-10 hours of entertainment with high-quality production values but which maybe explore more “niche” interests. I’d like to see more retro-inspired games like Scott Pilgrim. And I’d like to see more narrative experiments like Heavy Rain. David Cage commented that he’d like to make a “musical” game. Like Broadway musical. I would LOVE to play that game. Q13. What does gaming mean to you? Gaming’s in my blood and always will be. My dearest friends in the whole world are gamers. There’s something about being a nerd which makes you into an awesome person. Note that I’m not counting the screeching kids on LIVE in this category. I’m talking proper nerds. The sort of person who goes to gaming conventions. The sort of person who can talk in depth for hours over dinner about character builds. The sort of person who can debate about symbolism in narrative-based video games. There’s a level of intelligence and articulacy there that makes them into people that I want to get to know better. And there’s always something new and interesting happening in the industry. While many moves made by developers and publishers aren’t necessarily good ones or popular ones, you can certainly never say that this is a boring, stale industry.